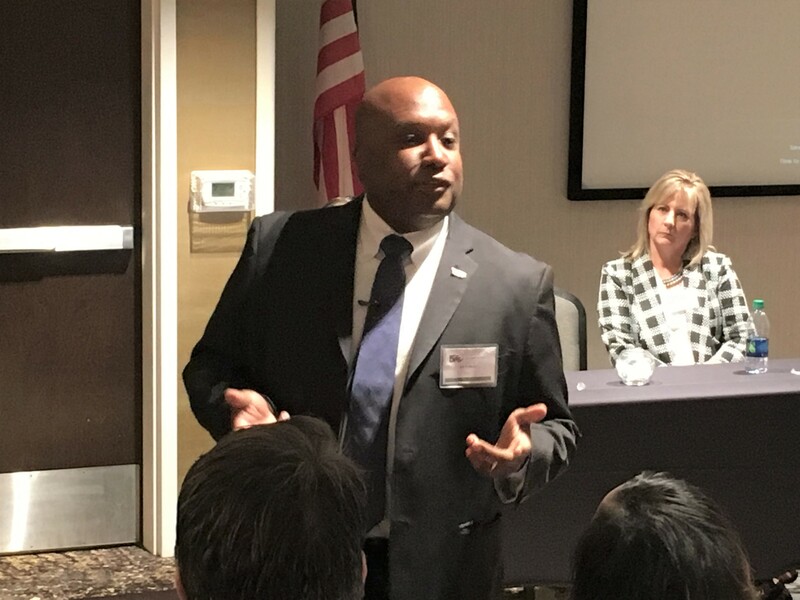 For the second straight year, Community Corrections Director Tracy Lee recently brought his statewide district managers to Raleigh for a leadership workshop. And, for the second straight year, Lee was very pleased with what he saw and heard from staff. Nearly 100 administrators, managers and staff members spent two days learning about pilot programs in mental health and special operations, as well as receiving updates about initiatives and units across Community Corrections and Adult Corrections. Along with breakout sessions on training, the Community Corrections staff received words of encouragement and appreciation from Secretary Erik Hooks and Interim Chief Deputy Secretary Reuben Young. Young praised Lee and Deputy Directors Chris Oxendine and Maggie Brewer for their leadership. He also stressed the importance of the impact Community Corrections has on society. “We are in the business of managing people who are behind the walls, are released from prison or ones we supervise,” Young said. “We all have different managing styles, but what’s important how we turn out people at the end of the day. It’s important you get the support you need. Lee said plans are now underway for next year’s training session. He was impressed with the presentations and understands the important of in-service training and gatherings like this.